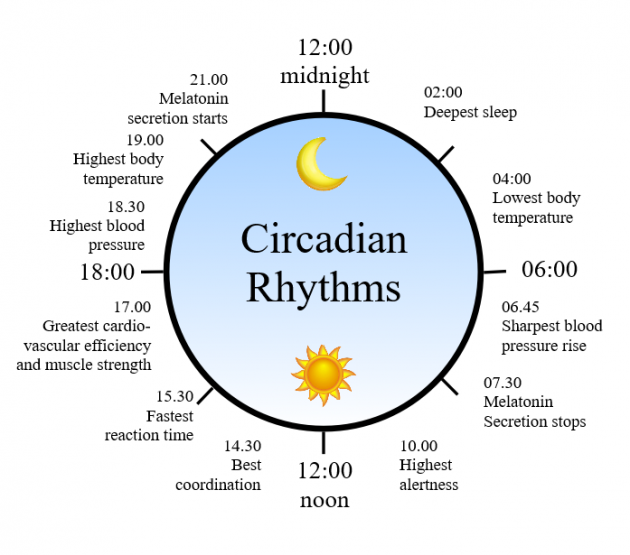 Throughout the day, people's wakefulness and attentiveness varies, as modulated by one's circadian biorhythm. Whereas in the morning people are less awake, just before noon and around 15:00 people appear to experience peak performance. As nicely discussed in an older question, taking caffeine also seems to generally improve cognitive performance and alertness (Does caffeine improve performance for habituated consumers?). I was wondering if these two factors may interact. For example, if you are in a "dip" in the circadian cycle, will coffee be most effective on attentiveness (because there is more room for improvement so to say)? Or will coffee be more effective when your are at a peak in the cycle, where the caffeine and the cycle amplify each other's effect? Is there any scientific literature that investigated the interaction between caffeine intake and the circadian cycle? Browse other questions tagged performance attention psychopharmacology arousal or ask your own question.